C272 - 1963 Prince Rainier and Princess Grace and family at Carton House, Maynooth. Royal Visit by Prince Rainier and Princess Grace of Monaco. 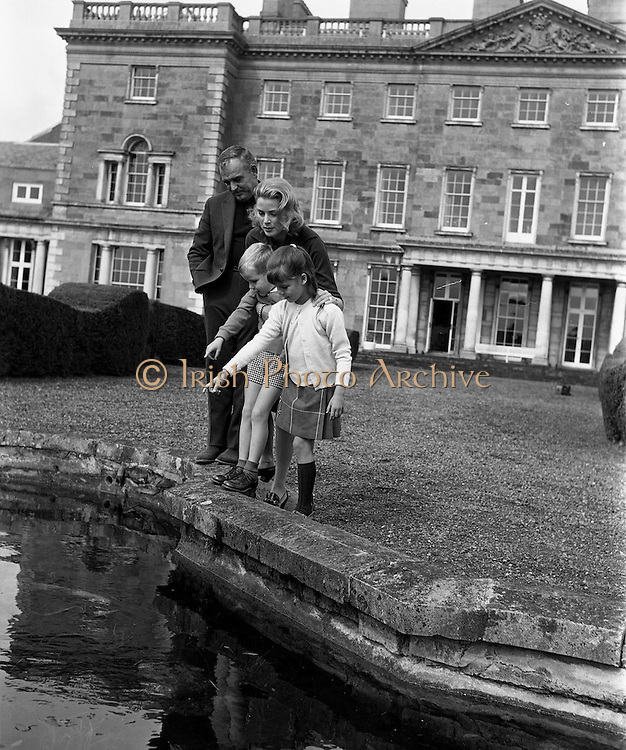 Prince Rainier and Princess Grace and their two children, Prince Albert (5) and Princess Caroline (7) settling in at Carton House, Maynooth, Co. Kildare as they start their holiday. Picture shows The Royal family looking for goldfish in the pond of Carton House, their Irish holiday home for three weeks.